Simon's Reagent (5mL of A & 5mL of B) in a amber dropper bottles. 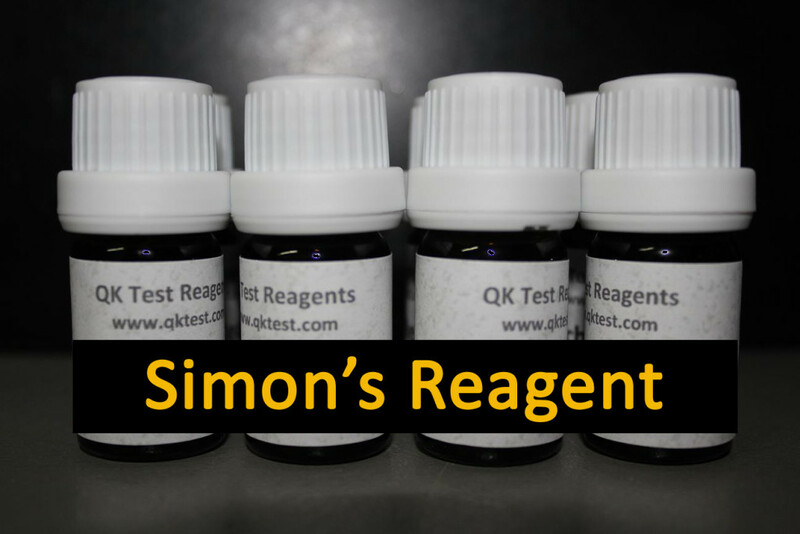 The Simon's reagent is a colorimetric spot test used to help identify alkaloids as well as other compounds. It reacts with secondary amines. All reagents are high purity & ready to be used for your colorimetric tests. What reagents should we offer next? What reagent would you like us to offer?